The only way I could think of making this work was by contacting organisers of successful meetups and finding out how they got started. I contacted Rosie Sherry of the Software Testing Club fame (STC) and Alex Higgins who organises the Reading Tester Gathering. Help does come from unexpected people sometimes. Alex by trade is a recruitment agent but does a lot for the testing community by regularly organising Reading Tester Gathering. Alex helped greatly by giving me tips on how to get started and suggested that I start with a name for the group. Sounds easy, but trust me it wasn’t! I finally decided top go with Test Retreat UK. I created a LinkedIn group and invited select individuals to the group. Alex kindly referred suitable candidates from his contacts to the group. Unfortunately, everything went a little quiet after this. Rosie suggested that I announce a date for the first meetup irrespective of the agenda, as this might make the meetup noticeable. I also needed to sort out the venue for the meetup before I could announce a date. Redweb was brilliant and had offered the use of their awesome Loading Bar for this event. That being sorted, I set a date for the first meetup and started to send emails, tweets and texts about it. Rosie kindly gave me rights on the STC meetup group which allowed me to create a meetup page. She then circulated details of the meetup to her contacts and also announced it on the STC site. My work colleagues at Redweb helped spread the word by tweeting about it. Through the wonders of social media there was quite a bit of interest generated about the meetup. John Stevenson (@steveo1967) who came to know about the meetup via twitter came forward with the suggestion that he could do a short 5 min presentation which would then facilitate an engaging discussion between the attendees. Before I knew it, it was the day of the meetup! I was pleasantly surprised to see 4 people turn up in addition to my colleague and I. Everyone seemed very enthusiastic about the meetup and were eager to improve their skills/knowledge whilst forming a community of like minded testers. John’s short presentation provided the needed fodder for an engaging discussion. I met some great testers that evening and all in all the meetup proved to be very successful. So much so that I have now organised a second meetup on the 04/07/13. 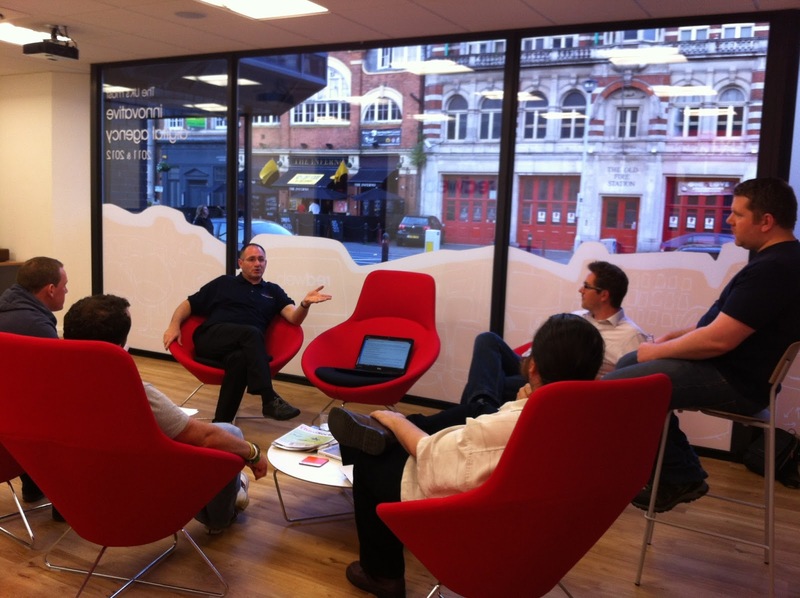 When I first set out, organising a software testing meetup seemed like a daunting task to accomplish. However I have found that we have an amazing community of brilliant testers out there who are more than willing to help newbies like me. All it takes is to take the first step and before you know it you will be well on your way. Thanks to all the support I received, I have enjoyed organising an event more than I ever thought that I would. I hope to organise many more successful events in the future and hope to meet many many more testers.